Welcome to this new resource for photographers who use or intend to use ring flash or macro flash. Enjoy what you find and contribute by suggesting videos, writing articles, sharing your photos. The ringflash is one of the most creative lighting products...lets see how creative you are using it! Have you a product our visitors should know about? If you have anything ring flash related here's the place to show it. Get in touch for favourable advertising rates. Here’s a really interesting conceptual use of ring flash. 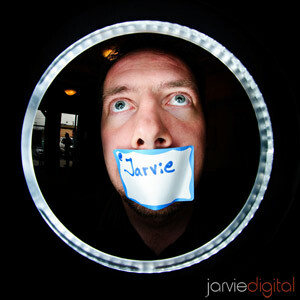 The photographer, Scott Jarvie, asks his subjects to poke their heads through a large ring flash. He shoots with an ultra wide lens so you see the tube, and get a comically distorted face. His subjects pull faces to make the whole thing even more appealing. Because of the closeness you get a lovely large catch light ring and the light on the face is excellent modelling. Posted: February 11th, 2011 under photographers.